Dr. Costas Constandinides along with Cyprus born Director Marios Piperides will discuss Cyprus filmmaking in the context of the short film. Dr. Christina Georgiou, University of Nicosia, award winning music composer for the stage, for TV and for feature and short films will take us through an exploration of the importance of music in film! Sony Day: Be Moved - Your story! Your way! Sony Day is here! For the first time ever Sony Europe will conduct workshops in a University environment through its Independent Certified Expert (ICE) Programme. Premiere of the short student documentary on House Music in Cyprus! A collaboration of Academia and industry! A view and discussion on how the University of Nicosia and industry have collaborated over the last year while we screen a student made short documentary on House Music in Cyprus, produced by the Communications Department, Mediazone University of Nicosia and Music Tv Cyprus. The Cannes Lions Adverts - Award winning, creative advertising! Cannes Lions is the world's biggest celebration of creativity in communications. Benchmarking innovation in anything from mobile and billboards to design and branded content, it’s the home of the great ideas changing the ways brands interact with their customers. Our Awards champion the best work from the past year. Our emphasis this year is on Film, in anticipation of the new Film Concentration in the Department of Communications Bachelors degree in Digital Communications and Mass Media. There are strong relationships being formed between industry and academia as a way to look forward in creating a new environment of learning and experience. Students and professionals will come together under one roof to be inspired and motivated. This exciting week will unfold with some terrific hands-on approaches to media and media technology. It is a one of a kind event that caters to all levels of interest; students, amateurs and professionals. Dr. Costas Constandinides along with Director Marios Piperides will discuss Cyprus filmmaking in the context of the short film. Film screening: The immortalizer - running time 23 mins. Discussion with director on the making of the film - Emphasis on how to get involved and how to get started as a young filmmaker in Cyprus. What is the knowledge base required, where to find inspiration, what is an independent filmmaker all about! Marios holds an M.F.A in Film Production, a B.Sc. in Broadcast Management and a B.A. in Film Studies. After gaining hands-on experience in the US, he returned to Cyprus in 2002 and started working as a Producer, handling projects from different parts of the world. In 2005 he founded AMP Filmworks, with the aim to support and provide services for local filmmakers. He has won was various awards in script writing competitions, including an Award of Merit from the American Screenwriters Association and Writer’s Digest. His latest short film «The Immortalizer» won 8 international awards including Best Film and Best Director. Amongst other projects, he is currently producing five feature length films and is working on his first feature film as a director. 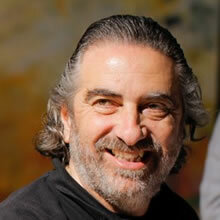 Costas is an Assistant Professor of Film Studies in the Department of Communications at the University of Nicosia. He is the author of From Film Adaptation to Post-celluloid Adaptation (Continuum, 2010; Bloomsbury, 2012) and co-editor of Cypriot Cinemas: Memory, Conflict and Identity in the Margins of Europe (Bloomsbury, 2014). He is a member of the European Film Academy. The music and film industry in Cyprus, what is the road taken towards getting involved in music for film. An exploration of the importance of music in film. 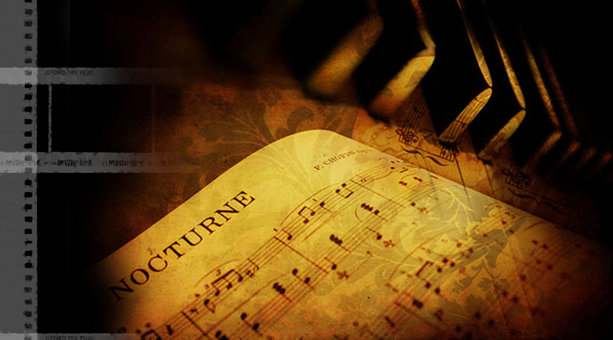 Through many examples of music in film we will be led through a musical discourse to rediscover music in film. We will also have the opportunity to watch and listen to a live scoring of a piece of film. Christina was born in Nicosia and studied music at King's College London (BMus Hons) and at City University London (MA, PhD) with honorary scholarship, receiving, among others, three awards in piano performance by festivals in London and Brussels. She has performed in Cyprus, Greece, the United Kingdom, France, Belgium and Hungary. She has composed music for the stage, for TV and for feature and short films, winning, amongst other, the Best Soundtrack Award at the Monaco International Film Festival 2008 for the music and sound design of the short film Styx. NOV. 26th - Sony Day: Be Moved - Your story! Your way! Sony Day is here! For the first time ever Sony Europe will conduct workshops in a University environment through its Independent Certified Expert (ICE) Programme. 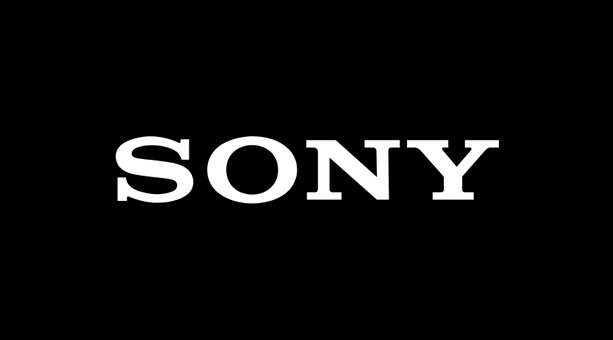 Sony Day will be a terrific highlight of the week bringing in individuals from Europe to display and workshop with a variety of high end videography and editing equipment. 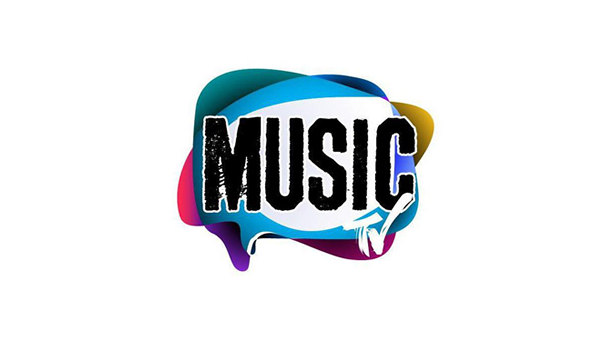 Music Tv has played an integral role in showcasing student produced work through the Communications Department to a mass audience. The need for collaboration - industry and academia: what does this mean for students? The student experience - readying material for broadcast. What is the importance of collaborating with industry, what can it lead to, what is the caliber of individual required. Marios Achas an alumnus of the University of Nicosia has been in radio and television for the better part of his life. He is the owner of Mix FM and Hot Radio in Larnaca, and between the years of 2008 - 2014 he managed Antenna FM. His involvement in Music Tv as manager helped to propel this one of a kind round the clock Music television channel into popularity. Currently Marios is U Radios 99,6 FM Manager. Nektarios has been recently employed by Antenna ltd as the General Manager of Ant1FM and he is also the Communications Strategy Consultant for the MUSIC TV channel. Nektarios Vilanides he received his Bachelor degree in Music from the Five Towns College in New York in 1999 and later on he obtained his Master’s Degree in Media Management and Media Production from the New School University, New York. During his studies Nektarios worked for about a year at the NBC TV station and more specifically for the Today's Show. 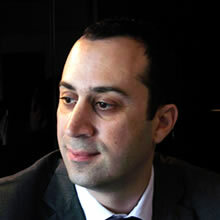 In 2003 he returned to Cyprus and worked initially for the Cyprus Broadcasting Corporation, and later on for MTN Cyprus. 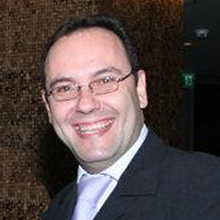 In 2007 Nektarios was employed by the Shacolas Group of Companies as the Marketing Manager for ITTL Trade Tourist and Leisure Park Plc, the company which owns and operates the Mall of Cyprus. 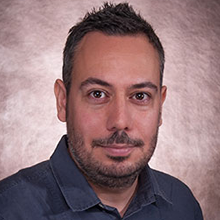 Since 2003 Nektarios has been a guest Lecturer at the Frederick Institute of Technology teaching Audio Engineering, Documentary Filmaking, and Media Theory. 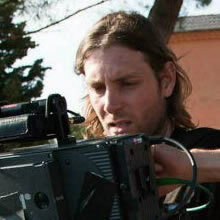 Nektarios has also produced numerous Documentary films one of which is "Kilimanjaro Trek 2009, Cyprus Team". 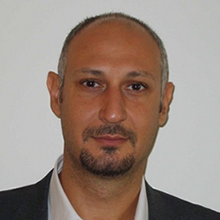 Mike is an Associate Professor at The University of Nicosia in the Department of Communications. His PhD was in Cultural Studies at The Centre for Contemporary Cultural Studies (CCCS) in England. CCCS was an important experience as it defined many aspects of his academic, cultural and political perspectives. Besides being an academic Mike is also a performance poet, DJ, radio presenter and freelance writer. These experiences have enhanced and informed his writing and research for the last two decades. He also produces 2 weekly radio shows ‘Outernational’ and ‘In Session’ which are played on 6 different stations worldwide. Cannes Lions is the world's biggest celebration of creativity in communications. 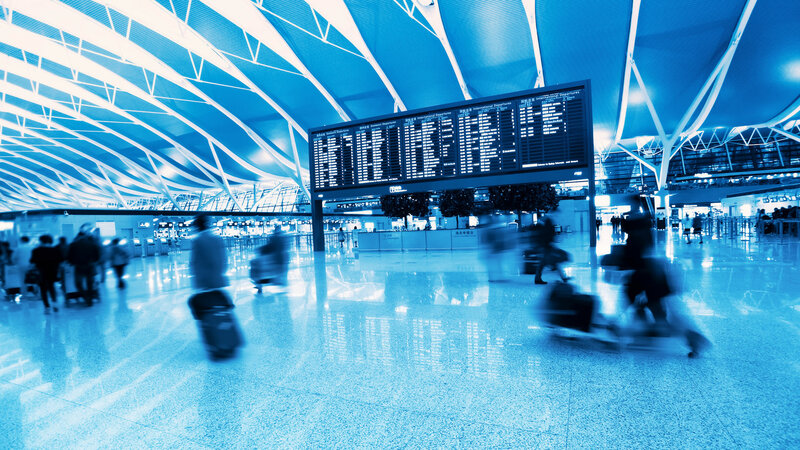 Benchmarking innovation in anything from mobile and billboards to design and branded content, it’s the home of the great ideas changing the ways brands interact with their customers. Our Awards champion the best work from the past year. 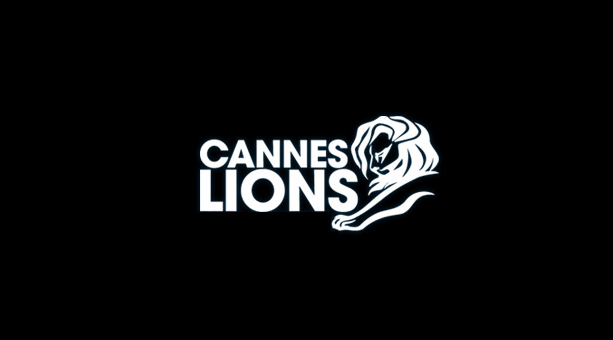 Cannes Lions Adverts is a must see event drawing together the best commercials from around the world that garnished the Bronze, Silver and Gold and Grand Prix awards. Some serious, artistic and even comical approaches to advertising are definitely worth watching. 90 mins of the best of the best! We will also have the ability to listen to tips of the trade, talk about emerging technologies and workflows and view examples of national advertising. 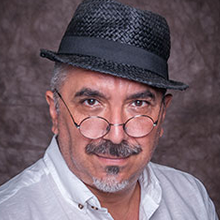 Guest speaker Director / Producer and MS Viewpoint owner and operator Marios Stylianou with 30 years experience and focus in the area of advertising will be invaluable on the journey into the world of commercials! Marios Stylianou, son of well-known photographer Nicos Stylianou, was born in 1962 in the now-occupied city of Famagusta. He took his first steps in professional photography while working at his father’s photography shop and laboratory in Limassol, between 1974 and 1981. Shortly after, he left for Cologne, Germany, where he studied Photography and Cinematography. His thesis was based on the creation of TV Commercials. In 1989, he established his own company, MS Viewpoint, which enabled him to start his successful career in the production and direction of TV Commercials. He has directed more than a thousand TV Commercials, broadcasted both in Cyprus and abroad: in Greece, Lebanon, UAE, Russia, Malta, Germany and other European countries. 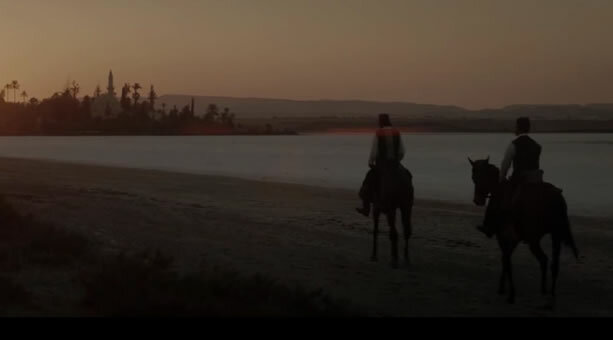 Marios had the opportunity to direct many famous actors from both Cyprus and Greece. Among others, the great Thanasis Veggos, Yiannis Zouganellis, Eleni Rantou, Vassilis Charalambopoulos, Anna Vissi, Evridiki and Michalis Hadjiyiannis. Finally, in addition to MS Viewpoint and TV Commercials, Marios got involved in Education, teaching Video Production and Photography in various colleges in Cyprus. Since 2012, he gives lectures at the University of Nicosia in the Design and Multimedia Department, where he teaches Production of TV Commercials. As of this year, he also teaches Digital Cinematography in the Communications Department and Photography in the Design and Multimedia Department of the same university. Have a look at our speakers. Every day of the week go to our Media 5 Facebook page and win! Awesome prizes every night at Media 5! Click the image to like & share our Facebook page! Click the app, fill out your information for a chance to win a prize every night of Media 5. All prizes will be announced each evening at approximately 8pm! Be at Media 5 to collect your prize! All prizes are chosen randomly by Facebook!